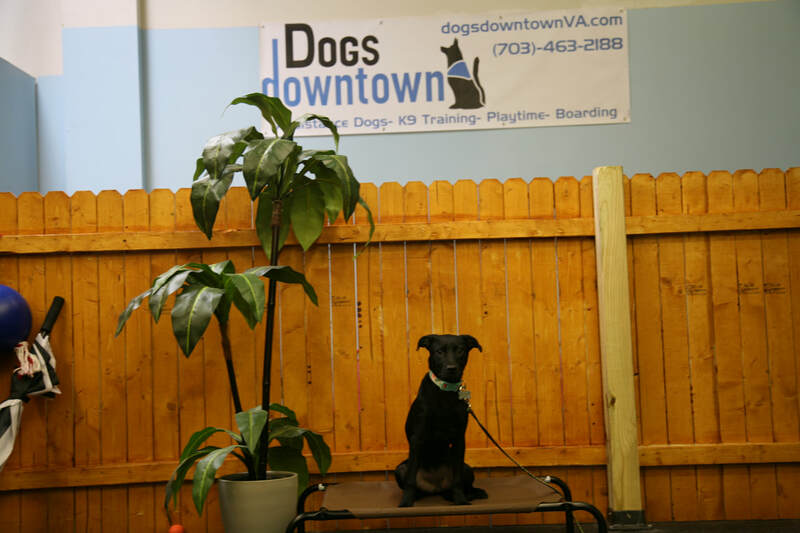 We are an 11,000 SQ FT premiere Service Dog, Therapy Dog and Family Pet training facility in Northern Virginia! We are committed to helping dogs help people and work with an individualized approach to training. We have a new location OPENING SOON! ​ Dog's Downtown Ashburn/ Sterling will be opening in late Spring/ early Summer 2019! If you are interested in doing training, board and training or drop off training in that brand new, redesigned ~10,000 sq ft location, please indicate that in your evaluation! Check out the NoVA Dog Magazine Blog Post about Luna, one of our Service Dogs in Training and her handler Jordan! 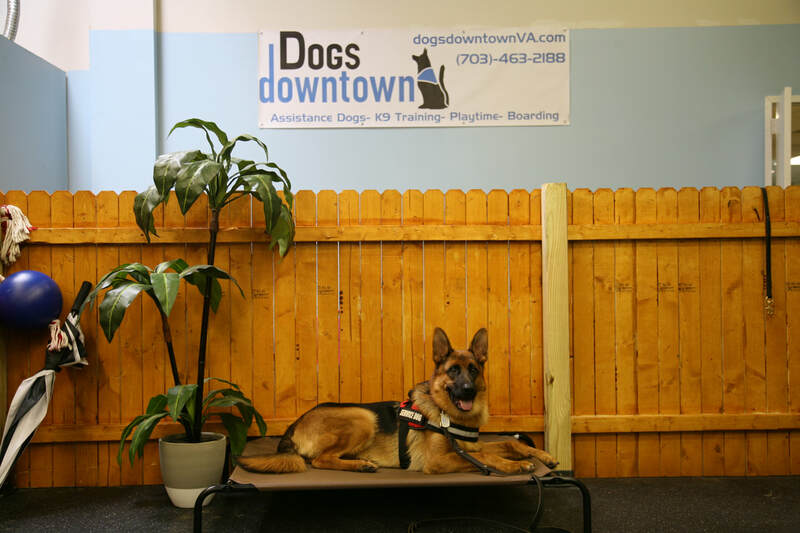 At Dog's Downtown, we use balanced training methods with a focus on using positive reinforcement methods to get the best results for every dog. This means that we use a variety of different rewards to get a response from the dog. A good reward is different for every dog though-- sometimes it's a ball, a praising voice, a tummy rub, or a dog treat! Every dog is different and so we tailor every training plan to what motivates your dog. There is no such thing as a one size fits all approach to successful training, but all of our training approaches center around one main concept:a dog will learn best if the training program is individualized based on the dog and your goals! Family obedience training! We encourage all members of the family to be involved. But, when trained correctly for service work, dogs can truly improve people's physical and mental well-being, and even save lives. A well-trained service dog can help struggling people achieve independence and success. A service dog can do something as small as build confidence for their owner and as big as alert them to an upcoming seizure. Service dogs can help raise the spirits of people in hospitals or elderly care facilities, they can help with focus and improve learning in schools, and can revolutionize an individual's independence in their home and out in the world. Confidence, Independence, and Security are just a few things that service dogs and well-behaved dogs in general can provide for individuals.